33 Indians who were stuck in ISIS captured Erbil in Iraq, arrived in India on Monday after being rescued by the Indian government. The rescued people claimed that they were duped by their agent with the promise of employment in Iraq and further informed that many people like them are still stranded there. "Earlier 35 people were rescued and came back to India and this time we are 33. The agent deceived us by promising for giving jobs and took us to Iraq. More people like us are still there," said a rescued person. 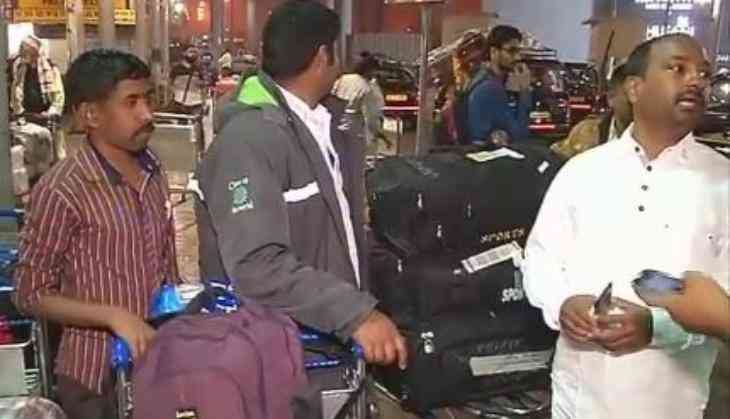 They arrived at Indira Gandhi Airport (IGI) after efforts by both state and central government. Earlier also, 11 nurses hailing from Kerala have been safely evacuated from conflict hit city Kirkuk in Iraq. Meanwhile, an Indian Catholic priest Father Tom was abducted by ISIS some months ago in Yemen and the India government is still trying very hard to get him back to India. Af-Pak intelligence deal: why would Ashraf Ghani sleep with the enemy?